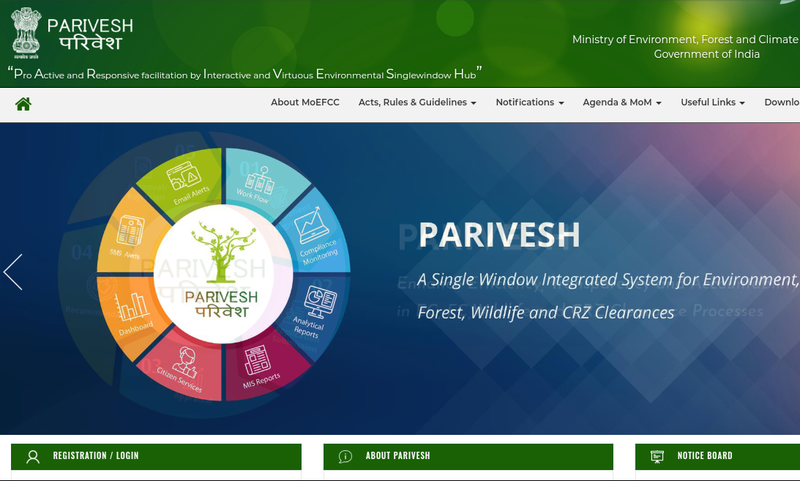 The Ministry of Environment, Forest and Climate Change (MoEFCC) has "proudly" announced it's new endeavour with yet another acronym PARIVESH. It is a web-based, role-based workflow application developed for submission and monitoring of the proposals submitted by the proponents for seeking environment, forest, wildlife and coastal regulatory zone (CRZ) clearances from Central, state and district-level authorities. It claims to automate the entire tracking of proposals, which includes online submission of a new proposal, editing/updating the details of proposals and displays status of the proposals at each stage of the workflow. The process reveals the worst kept secret of the MoEFCC. To quote minister of environment Dr Harsh Vardhan, with PARIVESH, MoEFCC has "become more of a facilitator, than a regulator." "Prime Minister Narendra Modi has launched PARIVRSH launched as single-window integrated system... for complete online, expeditious and transparent system for environment, forest, wildlife and CRZ clearances at Central and state level", Dr Vardhan said in a communique, adding, "It will lead to better compliance and sustainable development", asking those concerned to visit it's site https://parivesh.nic.in. MoEFCC's mandated concern should be for environment, forests, and climate, as mentioned in the name of the ministry, but the recent announcement makes it clear that the ministry is working for ease of business for industries, instead of protecting environment. Quite on the lines of PARIVESH, MoEFCC could instead have an online tracking and status of complaints for the violation of terms and conditions of environment clearances, environment laws, about air, water, and soil pollution. Generally, when people affected by pollution file complains, they get poor or no reply from the MoEFCC and State Pollution Control Boards, and they are not in position to locate status of their complaints. "It would be in the interest of implementation of the objective sought to be achieved, to also require each concerned state (and each concerned Union territory) to make provision for 'online, real time, continuous monitoring system' to display emission levels, in the public domain, on the portal of the concerned State Pollution Control Board... Such measures shall be put in place by all the concerned state governments (including, concerned Union territories), within six months from today." This deadline was over on August 22, 2017, but no action has been taken by MoEFCC. This has once again exposed the misplaced concerns and intentions of MoEFCC that favours industries over nature.